Catch a glimpse inside a school bus and you'll see lots of kids looking down. What are they doing? They're deciding on strategy, building cities, setting traps for monsters, sharing resources, and nurturing critical relationships. Over 90 percent of kids ages 2-17 play video games. 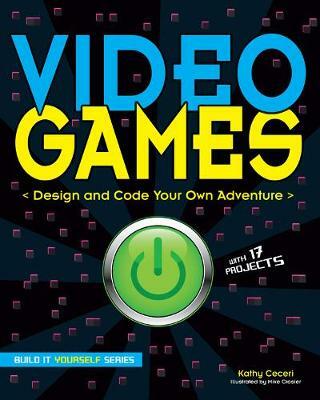 In Video Games: Design and Code Your Own Adventure, young readers learn why games are so compelling and what ancient games such as mancala have in common with modern games like Minecraft. Kids will even create their very own video games using software such as MIT's Scratch! Using a familiar, high-interest subject, Video Games introduces foundation subjects such as geometry, physics, probability, and psychology in a practical framework. Building Tetris pieces out of Rice Crispie Treats and designing board games are some of the hands-on projects that engage readers' building skills, while writing actual game code opens digital doors readers may not have known existed.